Romney turns in a more energetic performance than the president but spends more time playing defense. 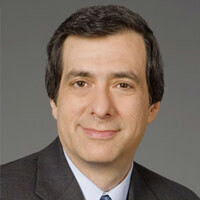 Howard Kurtz on the wonkfest in Denver. DENVER—Barack Obama and Mitt Romney forcefully clashed over their contrasting economic views in their first debate Wednesday night, with the challenger displaying more energy and crispness than the languid and long-winded president. It was a serious, respectful, somewhat wonky debate, notably devoid of zingers or dramatic moments, with Obama consistently more aggressive in challenging his opponent over his proposed tax cuts and slashes in domestic spending. Stylistically, Romney came on strong, showing a confident command of facts and figures even as he tried to moderate or distance himself from some of his proposals. He also made direct eye contact with the camera while Obama often seemed to be looking down, never adjusting his intensity and acting like he was at a garden-variety news conference. On substance, though, Romney spent more of his time on the defensive, responding to Obama’s insistence that he would favor the wealthy and cause “severe hardship” for the middle class. It is hard to score points when the other side is calling the plays. If the spin alley here was any indication, the Romney camp was far more pleased with its man’s performance. Even while Romney delivered his closing statement, Rudy Guiliani told reporters that his candidate had scored a “knockout” and the president “looked confused, like he was searching for his teleprompter.” Top adviser Eric Fehrnstrom declared that “if this was a boxing match, it would have been called about an hour into the fight.” Marco Rubio and other GOP surrogates dominated the room. White House adviser David Plouffe stuck to policy, saying Romney “dishonestly tried to run away” from his tax plan. Neither Messina nor Plouffe looked particularly happy. Romney responded to Obama’s charge that he favors the rich by saying he would not reduce the “share” paid by the wealthy because “high-income people are doing just fine.” But since the richest Americans would pay less under the former governor’s plan, Obama countered that Romney has failed to explain how he would close “loopholes and deductions” and that these wouldn’t offset the rate cuts in any event—in effect accusing him of fuzzy math. “Virtually everything he just said about my tax cut is inaccurate,” Romney shot back, looking at the president as he denied proposing a $5-trillion tax cut. Obama gave him a bemused glance before saying Romney was changing his tune five weeks before the election: “He’s saying his big bold idea is, never mind.” Obama invoked the star of the Democratic convention more than once, saying he wanted to return to the tax rates under Bill Clinton. Both candidates peppered the audience with statistics as the tax discussion got down in the weeds. But Obama got the better of an exchange when he faulted Romney for not supporting the closing of tax loopholes for oil companies and corporate jet owners. Romney scored when he accused the president of doubling the budget deficit to more than $1 trillion, saying his administration would slash spending and apologizing to moderator Jim Lehrer for planning to end the federal subsidy for PBS. Obama, saying he had inherited a fiscal mess, cited Romney’s refusal during a primary debate to accept $10 in spending cuts for a dollar in tax increases. Perhaps the most important part of the debate came when Romney accused Obama of cutting Medicare by $716 billion. Rather than counter that the House budget pushed by Romney running mate Paul Ryan assumes the same savings, Obama said the “essence” of Romney’s approach “ is that he would turn Medicare into a voucher program” and that this would leave “folks like my grandmother at the mercy of private health insurance.” Romney was forced to respond that he would make “no change for current retirees” while defending his plan as producing less government involvement. Romney seemed impassioned when he argued that Obamacare kills jobs and will cost families more–though he undercut his assault by referring to the similar plan he passed as governor. Obama seized on that point, declaring: “The irony is this model worked really well—in Massachusetts.” The president added that his law guarantees that “insurance companies can’t jerk you around” with arbitrary limits and excluding adult children from coverage. The Denver faceoff came with Romney trailing in the polls, both nationally and in key swing states, and needing a performance that would change the conventional narrative that he is running out of time to overtake the president. Romney faced a dual challenge, to combat the impression that he’s less than fully concerned about the middle class and to increase the country’s comfort level with him as a potential president. Obama’s main tasks were to avoid a blunder that made him appear arrogant and to press the case that Romney would favor the wealthy. Neither committed a significant gaffe. At a minimum, Romney went toe to toe with an incumbent president. How voters react may depend on whether they they focused more on the candidates’ words or their presentation.